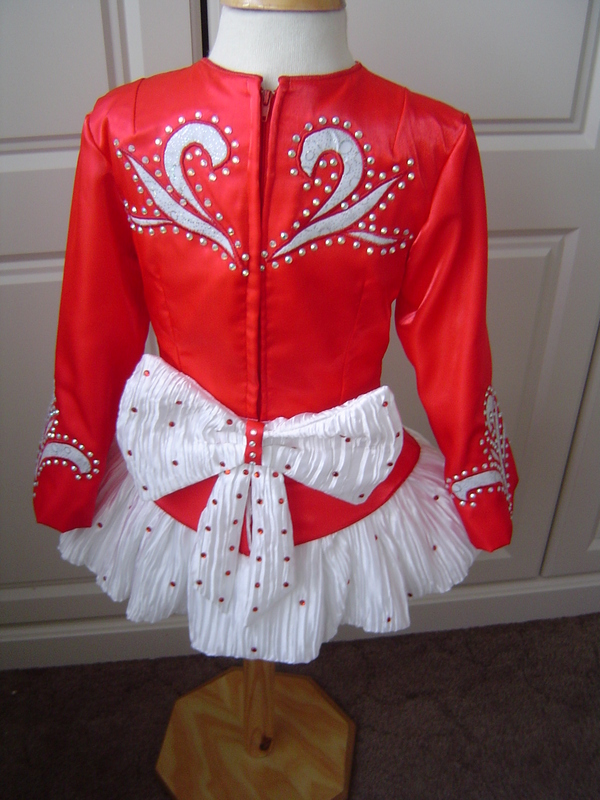 Brand new OTR costume with red twinkle satin bodice/sleeves & asymmetric design in white encrusted with AB crystals. 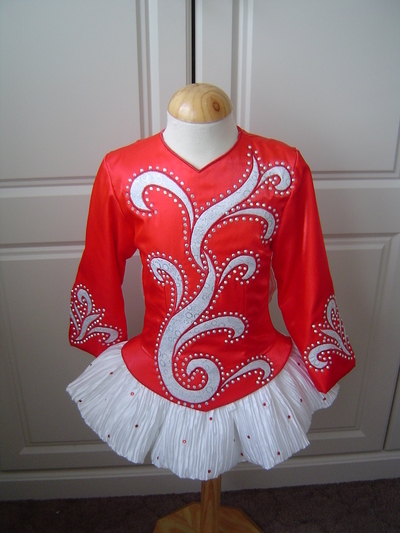 The soft white plisse satin skirt is scattered with red crystals & has an attached tutu for support. 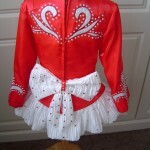 Comes with matching bow shawl, bloomers & headband. Asking Price: £250. Shipping costs are not included in the asking price. Returns are negotiable.